As is the case in many poor South American countries, Ecuador has a large population of stray dogs roaming the streets, abandoned and unloved. For many people living there, that fact might make those animals' lives seem insignificant -- but thankfully there are a few unsung heroes out there who insist that each dog is still worth saving. 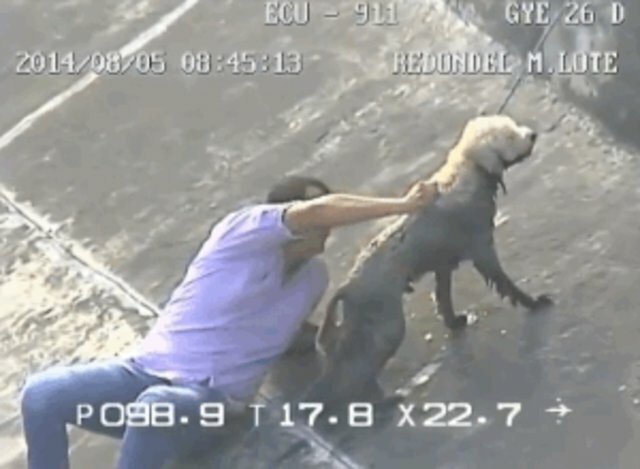 Things were looking bleak for this shaggy dog who had fallen into a ditch along a roadway, caught on a security camera recently in the city of Guayaquil. Unable to scale the concrete wall on his own, the stray's only hope was for a passerby to lend a hand -- though, not surprisingly, no one seemed eager to help. Then, after a few tense minutes, a man walking by took notice. Although he was dressed as though he might be on his way to work, he stopped and removed his shoes at the ditch's edge and signaled others passing by. 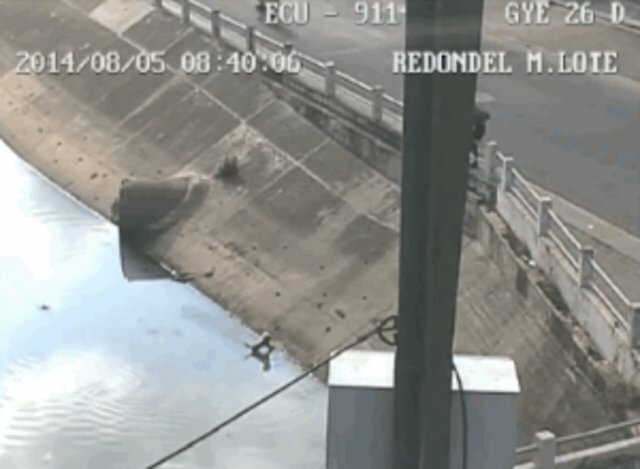 Risking his own safety, the kind stranger crossed the fence and scooted down the steep slope of the sewage-filled canal. 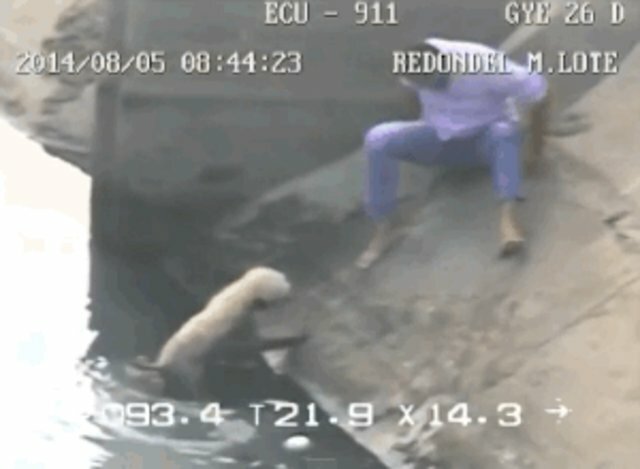 The desperate animal appeared to understand that the man was there to help and moved close enough for to be grabbed by the scruff of the neck and pulled from the dirty stream. 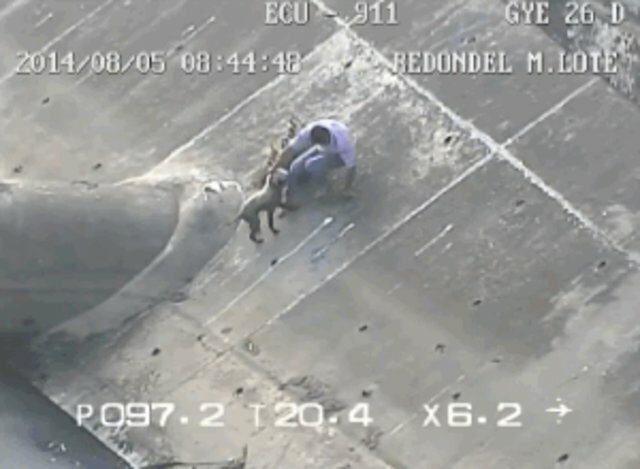 After the man inched the exhausted stray back towards the edge, several other people gathered along the road tossed down a rope to make sure they didn't slip back down. 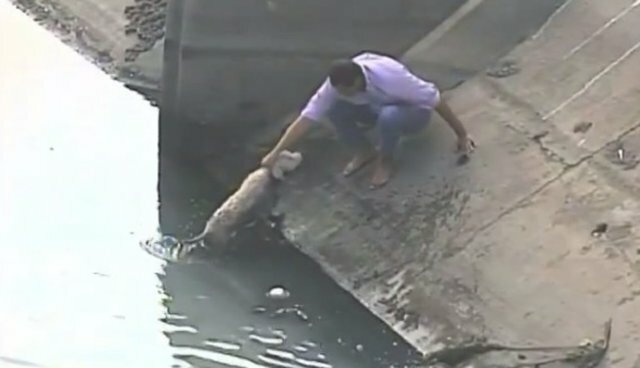 Finally, both the dog and his rescuer were pulled to safety, ending the harrowing rescue that likely saved the animal's life. 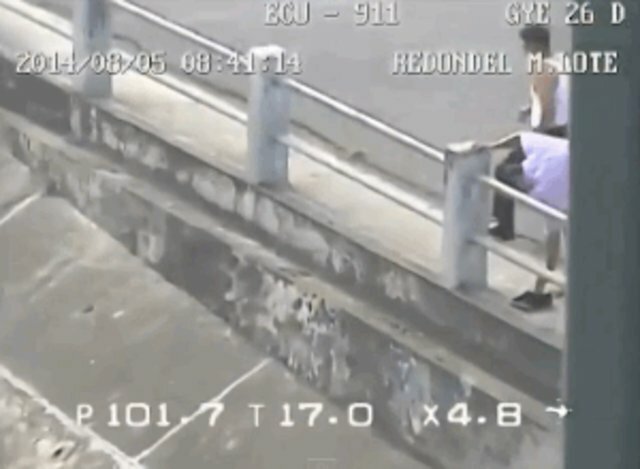 Video from the incident has gone viral across Latin America since being posted online. The man has yet to be identified, and perhaps never will be. 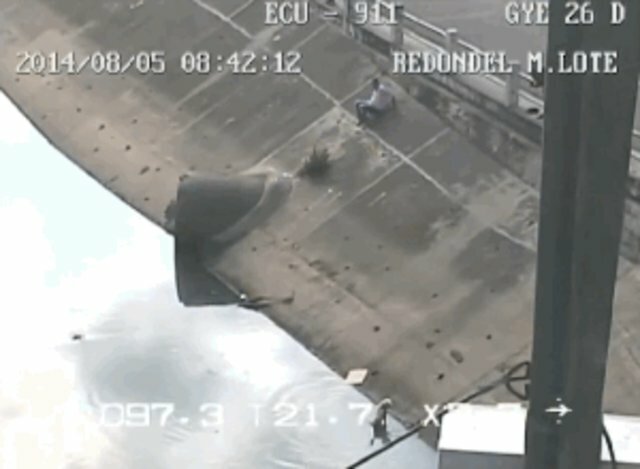 He had no way of knowing, of course, that his selfless act had been caught on film, which makes it all the more remarkable. But for folks who clearly care so much for animals, even the lowliest among them, a happy outcome is the best reward.